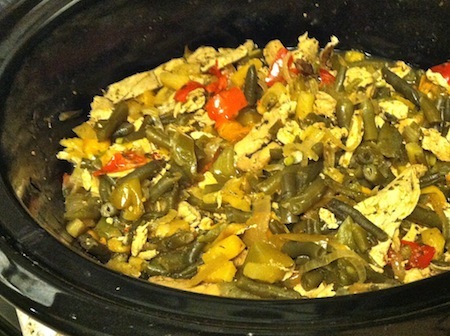 What’s in the Crockpot? Part Nine | Keep It Up, David! 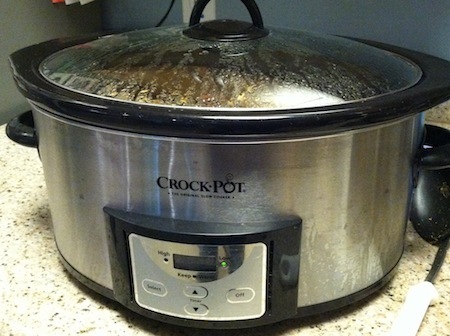 All of you that are counting the days at home know that it’s been six long months since we’ve played a riveting, edge-of-your-seat game of What’s in the Crockpot? If you missed Part Eight, have no fear – just click right here. That’s right, I rhymed. And if you’d like to peruse my entire collection of crockpot recipes (and you know you do), then just hold your horses, because I’m in the process of creating a brand-spankin’-new Recipes page, and hopefully I should have that up this week. In the meantime, turn off your Playstation, because this game is all you need for hours of fun game action. Are you ready? You’ll learn the rules quick enough, trust me. 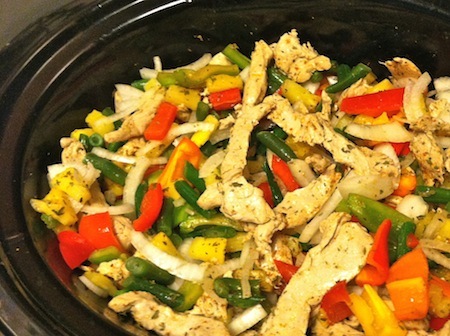 PINEAPPLE CHICKEN AND VEGGIES is in the Crockpot! First off, this recipe is based on one I found on the internet. Here is it, for your reference. But I’m not one that follow directions exactly – I make lots of modifications, both to suit my tastes and needs, and to accommodate the ingredients in my cupboards. In this case, I increased the veggies, swapped some spices, and tweaked a few other things. On to the protein – chicken! I decided to make this a vegan meal, because a vegan friend was among my dinner guests, and that seemed like the right thing to do. 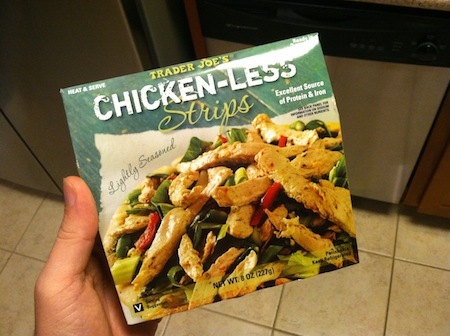 So I bought two packages of Trader Joe’s Chicken-less Strips. If you wanna use real chicken, use it! If you wanna use another brand of meatless chicken (like Morningstar or Gardein), do that. 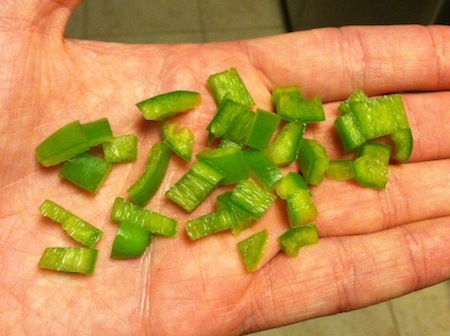 Or, I bet this would be good with chopped-up fancy chicken sausage or turkey sausage links, too. Lots of options! Final ingredients in the crockpot: spices. The recipe called for jerk seasoning, which I don’t have, so I added chermoula, a Moroccan spice blend that’s heavy on cumin, coriander, and parsley. I also added a healthy dose of smoked paprika too. I didn’t measure the spices, just a liberal sprinkling on top of everything else. I also add more spice than I think it needs, because I find slow-cooked food always ends up blander than I was expecting. And you saw at the beginning of this post what it looks like after about 8 hours on low heat. I cooked it in low-sodium vegetable broth, and threw in a pinch of saffron threads. 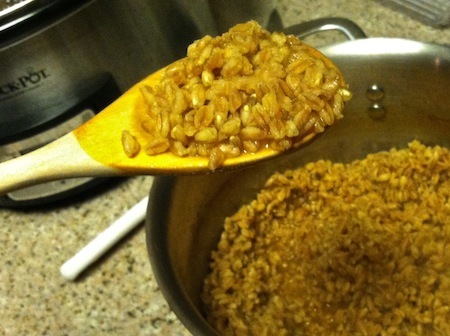 When cooked, It looks kinda like barley or big oats. 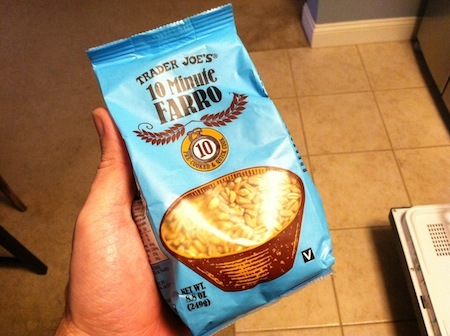 Health wise, farro is definitely a carb, but it also has twice the fiber and protein of wheat. It’s not gluten-free. The farro had a nice, firm bite to it, which was a great counterpoint to the flavorful-but-limp veggies from the Crockpot. 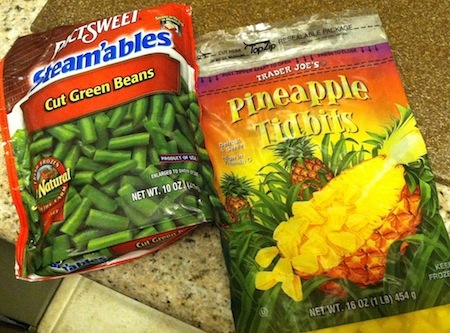 The meatless chicken held up well, and all in all, the pineapple dish didn’t end up too soupy, like Crockpot food can sometimes be.. And, best of all, it’s a super-healthy meal! No added fats, lots of veggies, and lots of flavor. I could eat this for days! This entry was posted on Monday, October 7th, 2013 at 12:04 am and is filed under Uncategorized. You can follow any responses to this entry through the RSS 2.0 feed. You can leave a response, or trackback from your own site. 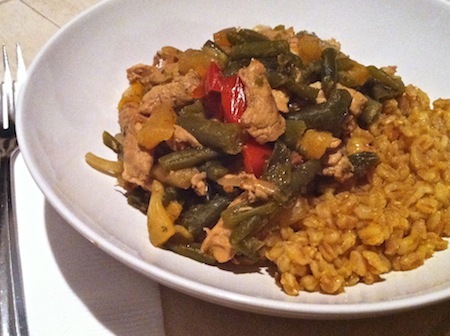 Thanks for stopping by, Kathy, and thanks for the kind words – it’s a great recipe! Talking smack! I love it. Thanks for the dinner inspiration! Made this for dinner tonight using chicken and black rice. Not sure my boyfriend appreciated all of the veggies, but I did! Glad you enjoyed! I’ve never tried black rice. You like it? Looks yummy! 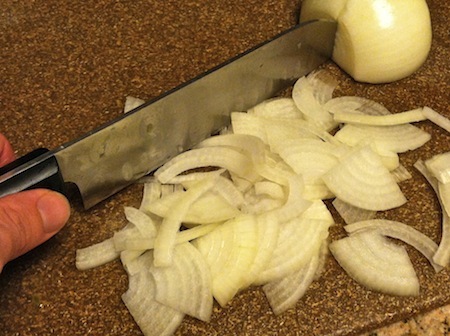 I’m always looking for healthy crockpot ideas. Congrats on the weight loss. It’s very inspiring! Thanks Kimberly! 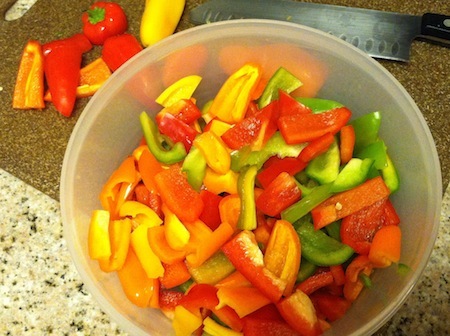 I have a bunch more healthy crockpot ideas – check out my recipes page!